In addition to his membership in the Project 21 black leadership network, Stacy Swimp is the founder of Revive Alive Missional Ministry. Stacy is also the spokesperson for the Black Christian Leadership Council, which represents over 33,000 churches and 3.2 million laity. He is the former president of the Frederick Douglass Society — a nonpartisan public policy and education institution promoting free market solutions and advocates for labor freedom and school choice. Stacy is a 2009 recipient of the “Henry Marsh Award for Public Policy and Political Leadership” and a 2010 recipient of the “Frederick Douglass Award” given by the Women’s Progressive Club of Saginaw, Michigan (an affiliate of The National Organization of Colored Women and Youth Affiliates). Stacy was honored for his work with inner-city youth. Stacy is also a 2013 Recipient of Union Conservatives’ “Workplace Freedom Award” for his tireless work in helping to make Michigan the nation’s 24th “right to work” state. Stacy’s commentaries have appeared in the Washington Times, Miami Times, Orlando Sun, Philadelphia Tribune and Buffalo Criterion. 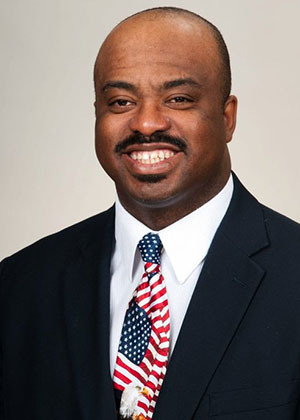 He has appeared as a guest on the Fox News Channel, SiriusXM satellite radio, 50,000-watt radio stations such as WHO-Des Moines and KDKA-Pittsburgh, black media such as WVON-Chicago and Lee Bailey’s EURweb, the Westwood One radio network, conservative news outlets such as the Daily Caller and CNS News and internationally on AriseTV.